You're never too old to eat gummies. That's the truth. I'm over 30 and still prefer gummy candy over hard candy. Take Life Savers, for example. Original Life Savers? Eh, they're alright. Gummi Savers? Heck yes! I don't think I'll ever outgrow the gummy phase. I'm sure when I'm old and gray my fragile teeth will still prefer soft, fruity, chewy noms. So there. Gummies are the way to go, at least for some people. Multivitamins are no different. I've tried those huge capsules that sometimes scratch your throat while swallowing. Not fun. 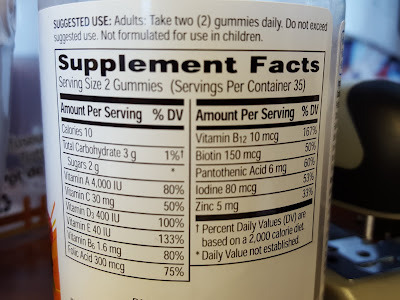 But gummy vitamins? Now we're talking. 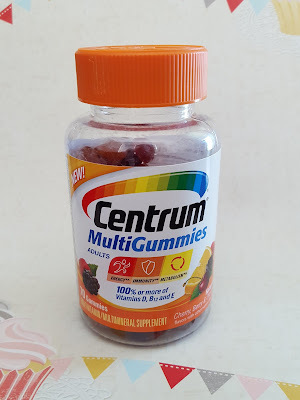 So without further ado, let me introduce you to Centrum's newest member to the multivitamin lineup, MultiGummies! They may look like childrens' vitamins, but don't be fooled by their colorful, jiggly appearance. These squishy tidbits are made for adults. 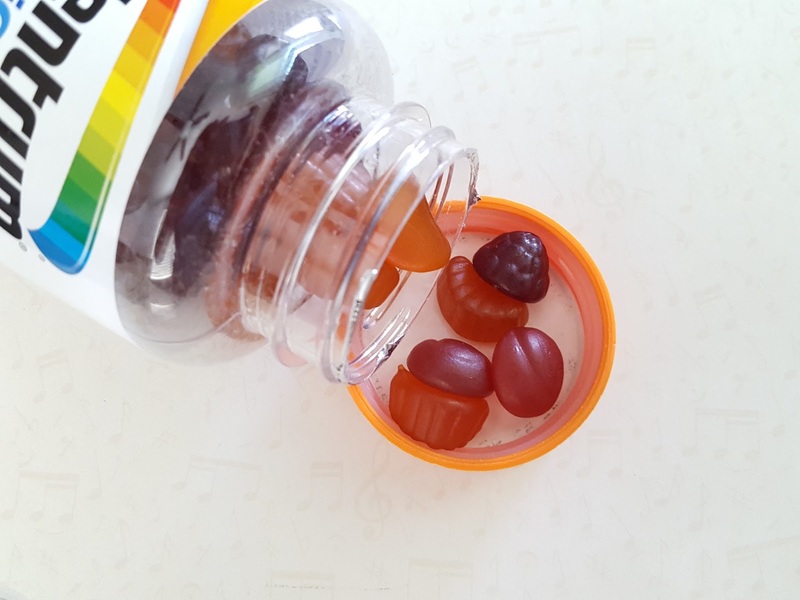 To add to the fun, these gummies come in three flavors: cherry, berry, and orange. All three have distinct flavors somewhat reminiscent of the real thing. And they don't have the yucky chalky taste, either. Winner winner chicken dinner! 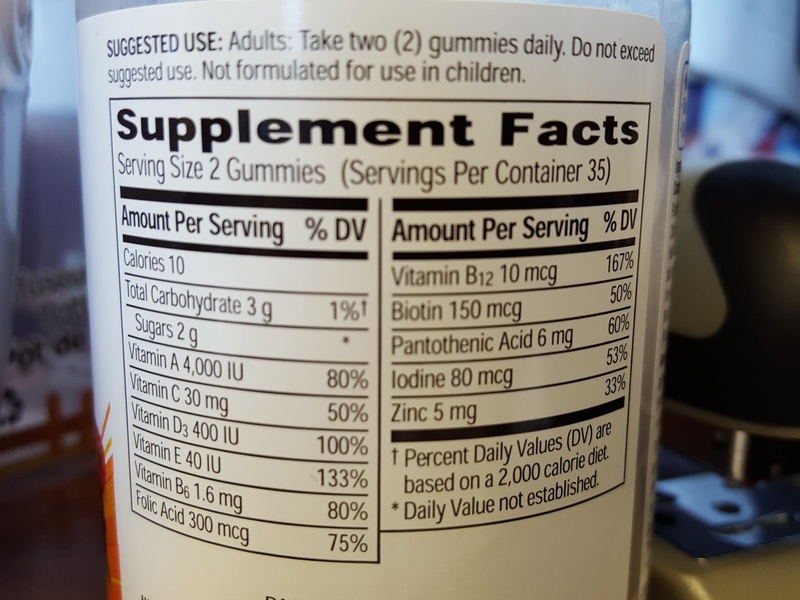 One bottle of MultiGummies contains just over one month's supply of most of your daily vitamin requirements. Because these multivitamins contain the whole Vitamin A-E spectrum, you might notice yourself having higher energy levels (thanks, B12) or a bit more capable of resisting the common cold (you too, vitamin C). 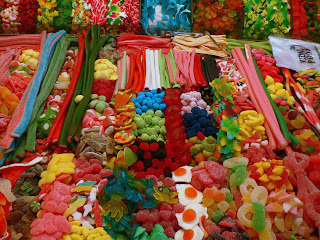 Here's a snapshot of what's inside a daily dose of Centrum MultiGummies. I'm surprised that one dose only contains 30mg of Vitamin C, but a glass of OJ with your breakfast should do the trick. The zinc content isn't very high either so you might want to incorporate beef or shellfish into your diet to help keep immune functions in tip top shape. Also note that there's no Vitamin K in here; you'll need to find some leafy greens to munch on. As a general rule, it's a good idea to take multivitamins with food containing a bit of fat. Some vitamins such as A, D, and E (K too) are fat-soluble, meaning increased absorption in the presence of fats. Once absorbed, they can persist in tissues for extended periods of time. On the other hand, water-soluble vitamins B and C are readily absorbed into the bloodstream and transported to tissues, but the body cannot store them for long. Therefore it's especially important to keep replenishing B and C daily. Now that the new year is upon us, why not resolve to give your body its necessary vitamins? You can find a one-month supply of Centrum MultiGummies in most drugstores for under $10. If you do pick up a bottle, be sure to save $4.00 with this coupon. Cheers to a happy and healthy new year!! Note: This post contains referral links. I received Centrum MultiGummies complimentary from Smiley360 for testing purposes. This post reflects my honest opinions about this product.